Belize City is the largest city in the country of the same name, which is located on the southeast corner of the Yucatan Peninsula, bordering Mexico to the north and Guatemala to the west. This exciting cruise stop is popular not only for visiting the city itself but also for exploring the natural wonders of the region and understanding the ancient heritage of the Mayans. There is no shortage of places to visit and the educational experience is quite memorable. One of the more affordable and reasonably priced countries in the Western Hemisphere, Belize offers tourists a treasure trove of activities centering around native culture. All cruise ships arriving in Belize City anchor in the main harbor, and passengers are ferried via the local Belizean tender vessels. Passengers are deposited at the docks in the main Tourism Village, directly in front of the city center and near the bus stops, restaurants and taxi stands. Most of the souvenir shops and arts and crafts stores are located in Tourism Village as well. The favorable climate of the region, along with the presence of the Belize Barrier Reef and the multitude of offshore islands makes this area a favorite for boating, diving and snorkeling. 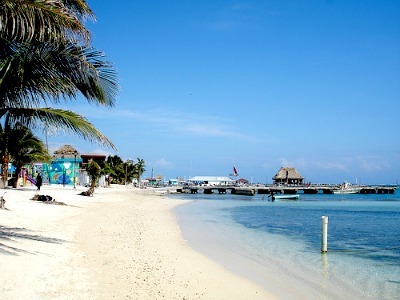 San Pedro Beach in Ambergris Caye offers white sands, gentle surf and excellent picnic areas. 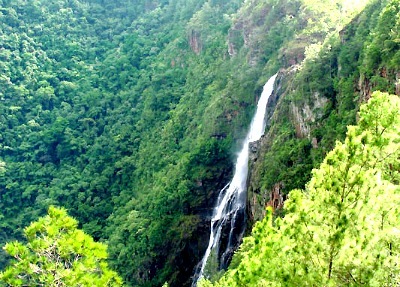 The highest waterfall in Central America is located in the Cayo District and is a favorite spot for photographers. The Mountain Pine Ridge Forest Reserve is excellent for backpacking or enjoying the many easy hiking trails. Visiting some of the ancient Mayan ruins is a highlight of any stop in Belize City. The Altun Ha excavation site is a short day trip from the city and includes some of the most spectacular temples and burial tombs found in the country. The nearby Xunantunich, across the Mopan River, consists of over 25 temple remains and religious palaces. 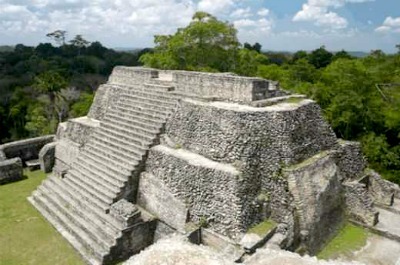 At Caracol visitors will find the Caana Maya pyramid, the highest such structure in the country. Exploring wildlife around the Belize City is another favorite activity of cruise travelers. From the spectacular city zoo to the Crooked Tree Wildlife Sanctuary, tourists get a close up and personal look at the amazing variety of wild fauna. A most famous stop in Belize is the Riverside Tavern on Mapp Street in Belize City. This is home to the nation's only active brewery and includes a full lunch and dinner menu. The cafeteria-style Big Daddy's Diner is a favorite with the locals and is nearly always full from opening to late night closing time. On Queen Street try the Nerie's Restaurant, offering reasonably priced local cuisine that focuses on rice and beans, stews, seafood platters and fish burgers. And on Ambergris Caye the place to go is Ruby's Cafe, serving visitors hot and cold sandwiches, home-baked pastries and snacks such as burritos and tostadas. Over a half dozen bus companies operate in and around Belize City, most of which stop at nearly every corner on the routes they serve. The San Pedro Belize Express is the favored water taxi service, operating routes from the main harbor to Caye Caulker, San Pedro and many other islands in the area. Land taxis can be hailed at the Tourism Village or in front of any hotel. Taxis do not publish standard fares; all prices are negotiable between the driver and the passengers. The Belize Dollar is the monetary unit of the country and is easily exchanged for U.S. Dollars. Most local merchants will accept U.S. Dollars but will often attempt to give Belize Dollars in change. Visitors can find ATMs at the Tourism Village and at any major bank in the city. The official language of Belize is English and is spoken fluently by nearly everyone. If visitors need to make international telephone calls there are Internet cafes in the Tourism Village as well as in the National Handicraft Center in the business district. 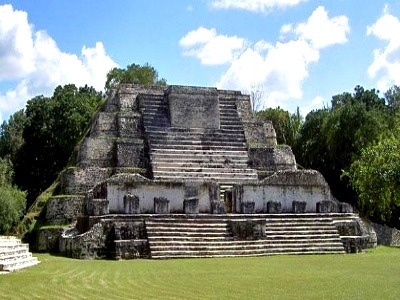 The Altun Ha excavation site - a popular destination for cruise travelers. San Pedro Beach is a great place to relax and have a great time. This beautiful waterfall is more than 1000 feet tall. The Caana Maya pyramid - the tallest structure in Belize built by Maya civilization.